Business Intelligence is a known word etching its presence into enterprises worldwide. It is now almost mandatory for organizations to adapt to any type of BI solutions, which may vary as per requirements but has to be there. With BI becoming increasingly popular, there are various faces of BI that can be utilized, viz. Cloud BI, Self Service BI, Mobile BI and along with there are umpteen proficient BI tools and technologies to support the needs. The apt reason BI has become a need indeed is its capability to merge processes and technologies and enable extraction and transformation of any type of data into valuable information. It becomes a key driver for businesses to achieve their maximum ROI and focuses on giving organizations to get their desired output at right time in right place in right format. What is of more significance is the access of such information to the requisite set of people within the organization. At any point of time, without any dependency on the IT infrastructure and staff, employees and management should be able to access the solution and cull out required information in desired format themselves. That is where Self Service BI pitches in. Self Service BI primarily focuses on extracting reports from the BI solutions by end users themselves, without any reliance on the IT staff. 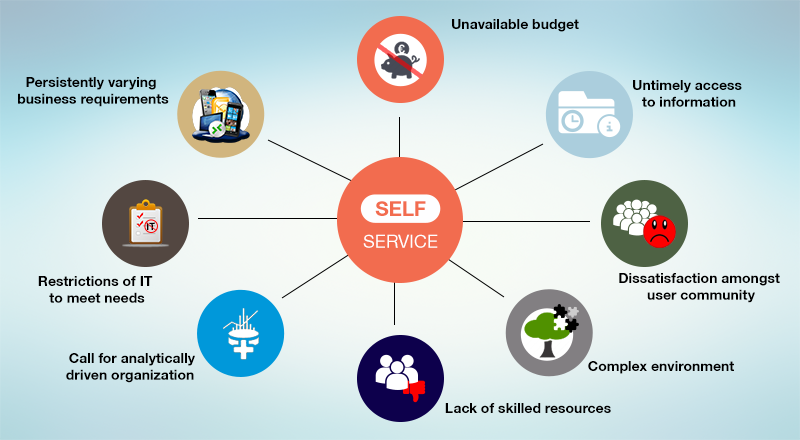 Why and when does the need for Self Service BI arise? Have a look at some significant factors owing to which Self Service BI is required and serves to be an ideal solution. The primary aim of Self Service BI is the authorization of end users with the right to access information in their desired way and extract reports and dashboards as per requirement. What end users can do is use the BI solution as they require with a little bit of customization themselves. One of the major plus point is that it makes the end users independent of the IT team and gives them freedom to work on their own. Of course, there is limited scope when it comes to self service, but it is sufficient enough for users to satisfy their own needs instantly. SPEC INDIA, the one stop IT solution provider, has proficiency in diverse BI frameworks like Mobile BI, Self Service BI and Cloud BI. Because of global partnership with Pentaho, it has extensive experience in the Pentaho product stack and also experience in Jaspersoft BI, Microsoft BI and TableAU BI. As Business Intelligence (BI) gets popular day by day, BI tools and technologies are also spreading around in plenty. On the whole, there are two major categories in which BI tools fall: Open Source BI tools and Commercial BI tools. Both of these categories possess varied options, all of which have pros and cons. So, when an organization is choosing BI as its technology, which tool should it go for? Is quality the criteria or is cost is or is customizable framework the major point to be seen? Such questions are bound to arise. First and foremost, the reason why BI is being opted for is a must to know. Based on that, an analysis can be worked out comparing the different tools that fall under the umbrella of these two significant categories. Let us run through the salient features of both these categories that can help you come to a consensus of which option to choose. The best part of Open source BI tools is it is ‘free’ and gives its user full freedom to alter the source code as and when necessary. Whatever may be the BI service area, be it Data warehousing, modelling, reporting, OLAP, ETL, open source software is available in all these areas. It, being community driven, there are innovative features which are initiated by the community and not from the R&D by the teams. 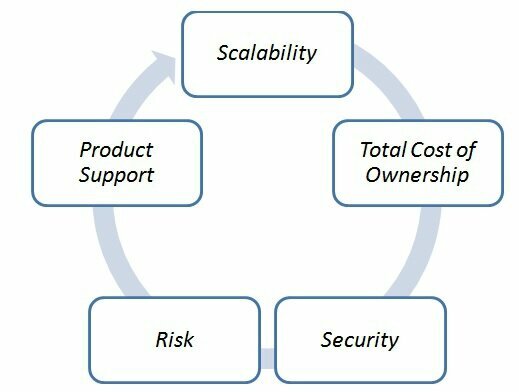 Simplistic starting, reduced cost of ownership and flexible customization are some of the positive highlights of open source. Whereas, decreased robustness, little delay in instant help and support are a few setbacks which the end user may face. Some of the most popular and raging open source tools are Pentaho, JasperSoft, SpagoBI and more. Considered to be a complete package for the organization, Commercial BI tools have the total control in the hands of the owner. Of course, they are costlier as compared to open source, since it includes peripheral costs like AMC cost etc. The positive point is that it is owned and managed by a reputed organization and hence chances of misfiring are less and better service and support is guaranteed. The source code is not allowed to be changed and hence there is more stability. The higher end upfront cost is the main hindrance for low budget companies. SPEC INDIA is executing a variety of BI and Big Data implementations since years and possesses a lot of proficiency with many kinds of BI tools and services. We are global certified partners with Pentaho. Say Hello to us and we would be glad to demonstrate our expertise and help you turn your information into real time analytics. Read More about "A Single Key to Unlock Business Analytics – Pentaho BI"
Initially when you add bunch of components to your Java UI you may find scratching your head that where did some of the components go? It even more itches when you don't see any of them when you start. On the other hand after adding lots widgets in your container only to find them crawling around like rascally kittens during resizing. Only because of the annoying matters we turn to layout managers. The layout of the swing components used is determined by the layout manager used. Java Swing has various kinds of layouts to arrange its components in a container. There is an interface called LayoutManage interface which is implemented by different kinds of layout. The size and position of swing component which is inside a container is determined by creating a layout manager. Since JDK 1.1,LayoutManager2 interface was introduced. This LayoutManager2 extends the earlier LayoutManager to provide more functionality. 1) Setting the layout manager to a container. 2) Adding a Swing component to a container based on its layout manager. 3) Providing sizing and alignment options. 4) Setting spaces between Swing Components. We only care about setting the layouts of content panes and JPanels. By default content panes has BoderLayout and JPanels have FlowLayout by default unless we set a layout explicitly. You can define your own layout managers and it should be done for large applications demanding a consistent look. But for purpose of this article we will stick to the standard layout managers. Flow Layout: Using this layout components are arranged in a single row that is left to right. Although it starts a new row if its container is not sufficiently wide enough to fit that in. By default JPanel uses this layout. Grid Layout: It organizes its elements in a rectangular grid having equally sized cells. It creates a rectangular grid with the requested number of rows and columns. These components can be separated with default spacing which can be specified in call to the constructor. Border Layout: A border layout places its components into five different areas such as: NORTH, SOUTH, EAST, WEST, and CENTER. These are defined by some constants values. Extra spaces are placed in center area. You can optionally use any subset of these regions making it a powerful organizer of relative elements. This is default layout for content panes. Box Layout: If you want to organize your elements either horizontally (single row) or vertically (single column) this layout is perfect for that. Series of components would be well fitted with this layout. It provides a facility to give maximum sizes of components and also lets you align the same. Card Layout: It provides a facility of flipping between visible sets of components. These components may be flipped by and event fired. Only one panel is displayed at a time. Spring Layout: This layout is appropriate for specifying the edges relationships of components. GridbagLayout: GridBagLayout most flexible and powerful layout manager. It sets the alignment of components by placing them within a grid of cells.It also allows components to span more than one cell by giving gridWidth and gridHight. The rows in the grid can have different heights, and grid columns can have different widths. GridBagConstraint is used for setting the parameters with GridbagLayout. SPEC INDIA is a leading Java apps development company who understand the requirements of client at every stage of application development process to deliver tailor-made and integrated Java solutions with highest levels of productivity whilst realizing optimum return on client's investment. Hire skilled Java developers to develop plugging business logic into the application, a consistent mechanism for performing tasks such as user data validation, screen navigation, and so forth. SPEC INDIA provides trustworthy development services not only in India but also at overseas. It is an ISO 9001:2008 certified company located at Ahmedabad, India. SPEC INDIA worked with many global clients and delivered proven solutions to its several fortune 100 clients. Company believes in quality aspects to delivered solutions that it must be highly qualitative and trustworthy. SPEC INDIA provides a best low cost according to industry standards. Company offers you to hire developers or developer team on hourly basis or fixed cost. And SPEC INDIA provides you a customize facilities according to the client requirements and needs. Customization is very important facility to meet the current industry standards. Microsoft offers you to develop rich internet application by Silverlight technology. It will deliver you highly graphical solutions as well as high audio/video integration facility. Windows mobile application can be build by it. 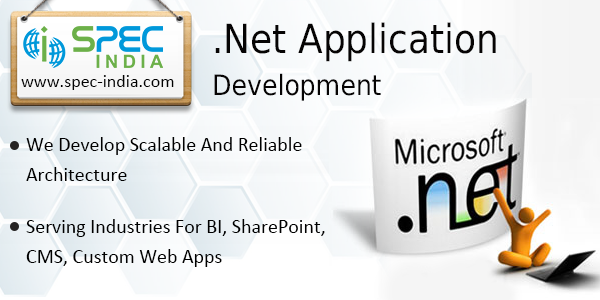 .Net technology also provides you to build cloud base application. .Net framework is widely accepted in development of application framework across the globe. SPEC INDIA has highly skilled portfolio in .Net development. Organization carry decade of experience into different type of desktop application as well as Content management system. Company is compatible in using rich technological tools and framework in development of web applications. Rich technological tools provide a high functionality and greater accessibility over different platforms. SPEC INDIA has experienced resources worked with many projects at global and domestic level. And they are very proficient to work with ASP.NET, Silverlight, WCF, WPF, MOSS, SQL Server and LINQ. SPEC INDIA has also expertise into technologies like Java base application development, HTML5, Silverlight based rich internet application, database development. Custom software development, legacy application migration, enterprise hand held application, mobile application development in different platform like iOS, android, J2ME, windows. SPEC INDIA delivered proven solutions like mobile sales-force automation solutions, inventory management, and order management to several fortune 100 clients. Company has expertise into software quality testing services, offshore development. For more information you can visit company website www.spec-india.com Feel free to discuss with us at lead@spec-india.com for your business requirement belongs to our portfolio. A backbone to ensure a robust and scalable software application is THIRD PARTY TESTING SERVICES. As in a Software Development Life Cycle (SDLC), third party software testing plays a pivotal role in order to churn out a ready-to-go solution. It is an independent and vital branch of the entire SDLC, where in it is done with varied tools and techniques by third party vendors, who have qualified and skilled testing teams. Certifications from third parties give confidence to the customers regarding the reliability and security of the software. Organizations are looking forward to a separate testing entity to test the software rationally and without any preconceived notions. Looking to such a need, today, there has been increasing evolvement of third party testing service providers, who take up the load of testing the entire project on their shoulders with the requisite tools and technologies, thereby reducing the pressure on the heads of the developers and in-house testers. 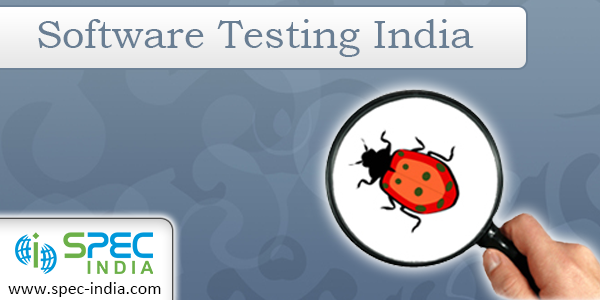 The main motto of such testing centres is to ensure a quality rich software application with minimal anomalies. Since the testers are a different unit, they are completely independent and objective, leading to an unbiased and logical testing. Many customized and standardized tests are performed by the testers which are sometimes over looked by the internal teams. Minimal cost for the client as the entire testing infrastructure is available readily with the testing team. With testing becoming a responsibility of a third party, the developers and designers get independent space and time to focus on their own processes. Early detection and elimination of defects before it is handed over the customer. Minimizes the errors, hence less rework and helps in cutting cost. It is a portable automated software testing tool, which supports multiple browsers and OS. It is a well structured framework, quite easy and fast and is automated. Since it is a open source testing tool, it is cost effective. It is an exhaustive, functional and regression test software. Its primary focus is to test the UI functionality and the database. It is a hybrid framework suitable to test desktop, web and mobile applications. It is a performance and automated testing tool for load testing. It simulates virtual users to conduct dependable tests. It is compatible with clouds. We at SPEC INDIA, offer a bouquet of various technologies and services under one roof. Testing, as a third party service, has been our forte since years and we have successfully carved a place for ourselves in the software testing domain. Our experience and expertise put together form an umbrella of tools and technologies to serve as a perfect independent testing partner. Need you require any assistance for third party testing, please feel free to write to lead@spec-india.com for further details. To meet the challenges of new business trend, to meet the challenges of new business technology, to meet the challenges of new business economy, you have to be more precise about quality of data and process. Today you have to adopt concept of sustainable development. You have to gain more by paying less. In different word you have to drive your business with Intelligence. For all this process you need adequate and proper database services for business development. You can enhance accuracy, completeness and trustworthy into database by using such kind of services like Database design and implementations, Database Installation, Database Upgrade and patch upgrades, Database cross platform and, RDBMS migrations, Database monitoring, Database object and space management, Database query and memory tuning, Data Mining and Modeling, Data Migration from other database products (MS Access, Excel, MS SQL, My SQL etc), Data Warehousing, Performance Re-engineering, Upgrading & integrating existing legacy database, Developing custom interfaces for 3rd Party integrations, Web based solutions, Business Intelligent Solutions for developing dashboards, integrated reports, Custom Application using oracle forms and reports. • Provide you to easier way to access & maintain data. If you want to integrate third party components or you wanted to plug at different components then Pentaho allows your developers to do the same. Pentaho is one of the latest technologies, which can very helpful to developing business logic & reports. It does provide magnificent benefit to end-user clients. ENTER: J2EE (short for Java 2 Platform Enterprise Edition) is one such platform that allows for developing, building and deploying web based applications online. This robust platform has evolved over time and now serves the purpose of an ideal platform for a plethora of transactions on the web. J2EE (J2EE application development) primarily consists of 13 core technologies and is built upon the Java 2 platform, Standard Edition hence it is platform independent. It has a heady mixture of portability provided by “Write Once, Run Anywhere" or WORA, JDBC provides for database access, CORBA technology for interaction with existing enterprise resources topped up with proven security. Our interest mainly lies in what it does for us. Moving from the two-tier architecture, J2EE application development provides a multi-tier architecture which makes it even more important in a web-enabled scenario which is the demand of present day businesses. Adaptability to various browsers is also made possible due to its inherent architecture; an Internet user comes up riding on any browser and still transact with the business. Separate codes can be developed by respective programmers who are skilled in their areas of expertise & not have to worry about other technologies. This helps in simultaneous development of different aspects of the application which gradually come together to form a unified whole, Call it modular if you want. Another benefit of modularity is that third party components can be integrated, which brings down the time to market, a very important aspect when businesses need to be agile to outsmart competition. J2EE's architecture allows making changes in its various layers and tiers without having to shut the whole application. With the increase in users trying to access business application, modifications to further scales are possible. Unlike brick and mortar business trying to open another branch or appoint another franchisee, the considerations of setup time are ruled out all together. Being multi-tiered, it provides with ease of use on the client's part of transaction as it supports HTML along with other Java applications. To the un-initiated all of the above may sound a bit intimidating, but when put into implementation by a team of developers after building around client's business needs and expectations, it's as easy as a click of a mouse or touch on the screen, Presto! Bills paid, Goods delivered. That's on the customer side of the transaction, whereas on the client side of a business transaction, many more complex calculations are done, ranging from 'delivery orders to forwarding agents ' & inventory deductions on the supply side, to name a few. To remain competitive and profitable a business needs to change either business process itself or some instances in the process from time to time. In these times of hi-speed transactions, most companies cannot AFFORD to stay out of the Internet arena and if they still choose to relax on their complacency couches, they may soon be on their way to where dodos went! Sales force is one and only factor into organization where you can generate high revenue if you can handle sales operation in smartest way. And it's obvious that automation will consume your time less as well as it will be a less cost effective and responsible to give you a accurate and trustworthy procedure. Several industry giant claim profit by made automate their sales-force operations. Example: Yamaha motor (UK) Ltd claim profit for their range of product portfolio like: Marine products, Motorcycle, power products. Actually sales force automation solution helps you to enhance your field sales activity. It will enables you to automize sales activity like order taking management, inventory management, customer operation, pre-sales activity, distribution sales, survey modules. Easy planning procedure by top management and follow by field sales-force. Reduce the time in report preparing because u can directly retrieve MIS reports. Sales man can load data of customer, inventory stock available into their device. So they can aware by it and perform operations according to existing current detail. Back-office can plan instant promotions for distributors. Salesman can also survey customer by application at the point of sale. Sales man can directly able to give receipt through blue tooth enable printer. Application support GPRS, EDGE, Bluetooth, WI-Fi technology. GPS tracking of sales man's current location. Integration facility with back-office application. Field sales-force is one of the very important and essential source for out-door operations. However sales force automation solution create opportunity for the organization to expand their business and increase scope of business. Technology advancement reduce the risk of business and increase the sales opportunity. SPEC INDIA deliver this proven solution to several fortune 100 clients across globe. SPEC INDIA is ISO 9001:2008 certified organization carry decade of experience in IT industry. Company has expertise into custom software development, mobile application development with different platforms iOS, J2ME, Android, Windows. Organization has core competency in software quality testing services, database services. Enterprise hand held application, offshore development, database services. You can visit our website at www.spec-india.com to know more about our portfolio. Feel free to discuss with us at lead@spec-india.com about your business requirement.